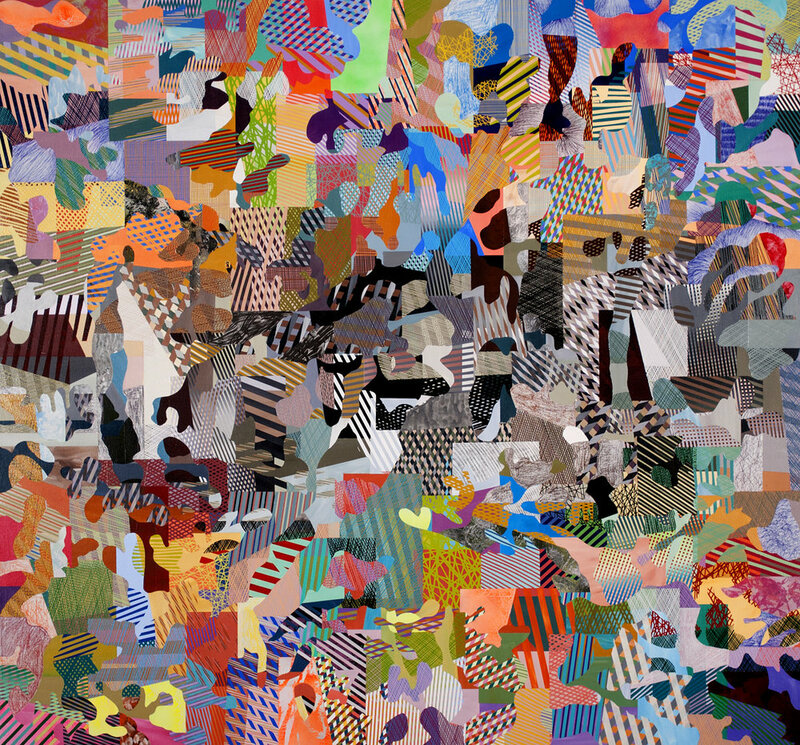 Ben Grant explores the potential for meaning through complex compositions of bold color and biomorphic shapes, each individually and uniquely painted. A profusion of pattern, reminiscent of everyday objects such as fabrics, custom cars, game boards and carnival rides, creates a perpetual visual experience. Grant combines a multi-layered process of applying a variety of media such as paint, pencil and ink with a multitude of techniques including brushing, scraping, rolling, spraying, and drawing. Grant leaves his work "Untitled" as he does not want to impose any personal meaning on the work of art, instead he invites you to enter the painting on your own terms and make connections based on your life experiences, beliefs and outlook. “My work is rooted in my conviction that painting’s expressive capacity continues to invite exploration, affording the artist a rich context both for the invention of new tropes and for the considered extension of formal and theoretical possibilities that may have been prematurely consigned to the dead letter office of Abstraction’s mid-century past." 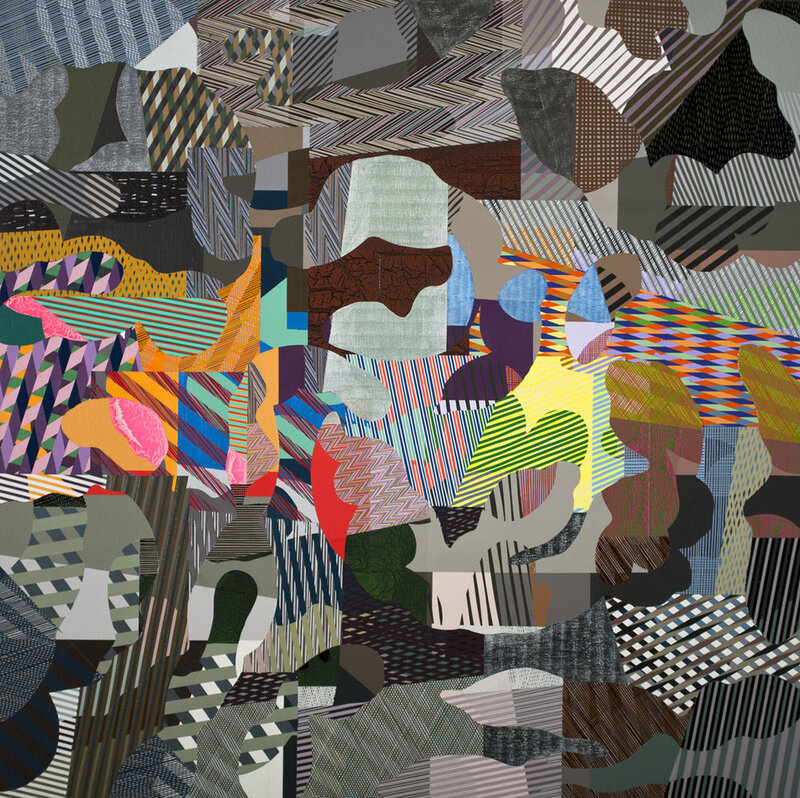 New York native Ben Grant is an abstract painter based in Milwaukee. He received a BFA from The Cooper Union in New York City and an MFA at the University of Wisconsin - Madison. He is currently a Lecturer of Art at the University of Wisconsin - Oshkosh and the University of Wisconsin - Parkside.